Microgrids (MGs) have evolved as an effective way to improve system reliability at distribution level. Successful integration of distribution generation units with the main grid at the distribution end is now possible; thanks to the numerous advantages of MG. MG when operated in islanded mode face the issue of harmonic current filtering and resonance damping. This hinders their smooth operation and control. 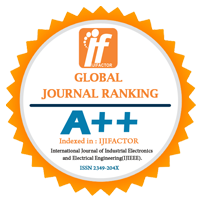 The objective of this paper is establishing a comparative analysis of various harmonic current filtering and resonance damping control schemes based on voltage Total Harmonic Distortion (THD) at various points in MG network. MATLAB simulation results of three cases have been presented of which the Virtual Fundamental Impedance (VFI) and Variable Harmonic Impedance (VHI) scheme is shown to project the desirable result. 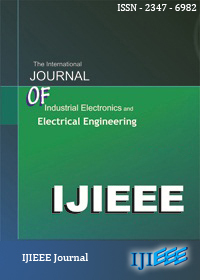 It involves a technique by which harmonic currents and resonance damping burdens can be autonomously shared among inverter interfaced distribution units and consists of load compensator based on decomposition of output current. It also incorporates inner voltage and current controllers in addition to outer droop based power controllers. Reactive power sharing is enhanced by the positive sequence virtual fundamental impedance (VFI) loop whereas the negative sequence VFI loop aims at minimizing negative sequence circulating currents. The harmonic voltage drops occurring across the grid side inductance of DG inverter are counter acted by variable harmonic impedance loop (VHI), this loop also helps to dampen out harmonic resonance propagation in the MG. Keywords - Harmonic current filtering, resonance damping, virtual output impedance, decentralized microgrid, distributed generation.